Finding the perfect wedding dress is a bit like finding the person you want to marry. When you see it, you’ll know. At May’s Bridal and Fashion, Palmerston North, they never get tired of seeing the ‘love at first sight’ moment when a bride-to-be sees the dress she wants to get married in. We have a huge range of styles available off-the-rack. All can be altered to fit perfectly. Get your Dream Wedding Dress custom made to your unique style! We have many beautiful designs for bridesmaids, flower girls, guests or mother of the bride. 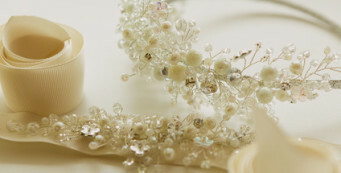 Browse some of accessories and add some pizazz to your wedding day outfit!